Filipino Christmas is so extra. Our Christmas game is so strong, it starts on September 1st. This might be baffling to some foreigners but really, what’s not to love about our yuletide traditions when every part is so on point? Check out our list of what makes the local holidays stand out! You know Christmas is just around the corner when the smell of these delicacies fills the air. Puto bumbong and bibingka are traditional rice cakes typically topped with grated coconut, butter, and brown sugar. These yummy pastries are sold mostly on the streets, so be sure to try one when you chance upon it on your daily route. If you’re a fan of Japanese artist Yayoi Kasuma, then you’ll go crazy over Vast Imaginarium—a light exhibit inspired by her well-loved infinity mirrors. 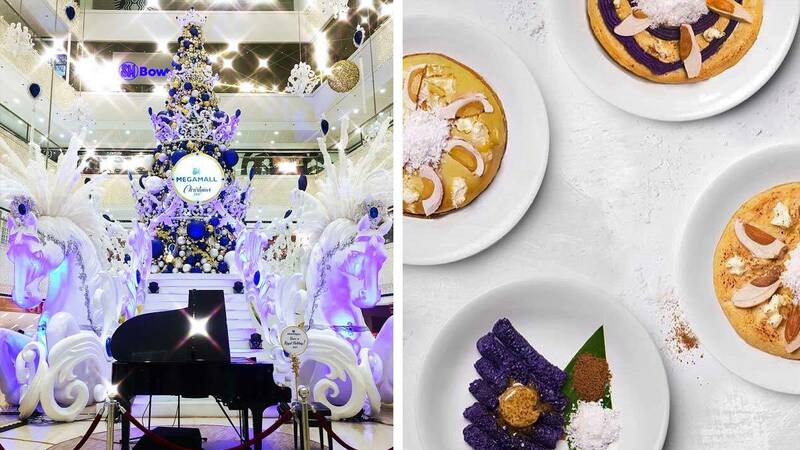 Each floor of Estancia Mall houses a themed room with everything from green lights to mushrooms to vibrantly-colored balls. Different setups, same kind of trippy. Note: Entrance is free. A maximum of two minutes per group is allotted inside the room. Not feeling the holiday spirit just yet? Well one look at these lights, and you might just change your mind. These wonderful symphonies of blazing lights and sounds run daily so be sure to catch one this Christmas! Better bring a camera too, ‘cos this is a sure hit for your Instagram feed. This is the only thing we’d ever be willing to wake up early for. Simbang Gabi starts on the 16th of December and ends on the 24th, and is said to grant the wishes of people who complete all nine nights. We’ve got the lights covered from down below, now it’s time to see them in the sky. Fireworks are typically reserved for the New Year, but we can’t help but gush over the annual pyromusical display of UST’s Paskuhan. It’s the perfect backdrop for a selfie, a confession, or even a kiss—no mistletoe needed.